The sneaky brilliance of Matt LeBlanc's performance lies in how the actor kept the comedy in "Episodes" even during its darkest moments. Matt LeBlanc doesn’t think his performance on “Episodes” is brave, and that’s exactly why it is. For five seasons, Matt LeBlanc played Matt LeBlanc. The actor and character shared a name, a similar background (“He was on a show called ‘Friends,'” as LeBlanc put it), and various other characteristics in Showtime’s Hollywood satire, but LeBlanc said, “It’s [clear] his flaws aren’t my flaws.” He approached the role like any other character and did his best to honor what was on the page. LeBlanc also noted how “Episodes” was one of a few half-hour shows that earned its assigned genre. But what “Episodes” — and LeBlanc — really excelled at was blending the two in a way that maximized each. 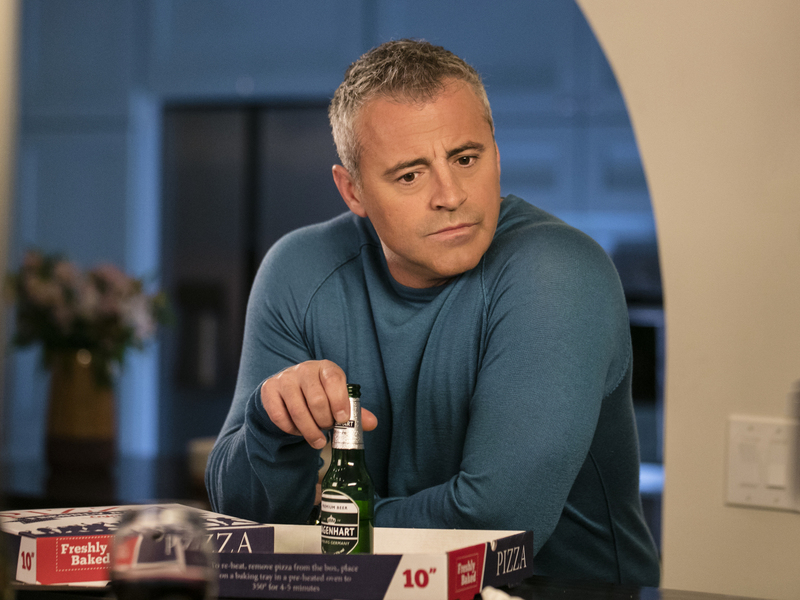 Take a plot line from the final season’s fifth episode: When Matt (LeBlanc) finds out his father died, he tries to expedite his cremation in order to please his mom and his dad’s longtime girlfriend, but he’s told it can’t be done. So he fills a couple of urns he “borrows” from his “props guy” with ashes from his grill, only to later find out his agent pulled a few strings and got the cremation done anyway. It’s all a bit comical and a bit heartbreaking. Matt seems stunned into service mode where he just wants to please everyone so they’ll get off his back, but lurking under each choice is a lingering tinge of sadness. The steaks he cooks to produce the ashes remind him of his father. The show he’s been trying to come up with turns into a father/son drama. And LeBlanc brings out this complicated mix of humor that’s repressing sadness that’s colored by anger without losing the big laughs or deep sentiment “Episodes” consistently evokes. As one last contrition to his dad, Matt drives to the beach to spread his father’s ashes in the ocean, as he was asked. As he stares into the ocean, tears well up in Matt’s eyes. He’s prepared to do one last nice thing for his father… but then the wind whips the ashes back in his face. LeBlanc holds that feeling until the very end; you can see the water in his eyes right up until the ashes are thrown against him and he turns away in disgust. Herein lies not only the courage of LeBlanc’s performance, but the conviction to pull it off. Just when the audience is invited to feel something real for his character, the actor fully commits to a joke that runs alongside that sympathy. He understands the drama and comedy of the moment elevate each other, so he plays each beat all the way through. The arc with his dad doesn’t break the tone of the series; it informs the audience about who Matt is as it keeps them laughing at his unpredictable reactions to death. LeBlanc’s take on Matt is as layered as it is specific. When it comes to this last point, one could say the same about the actor, and when it comes to “Episodes,” he’ll be remembered fondly for it.